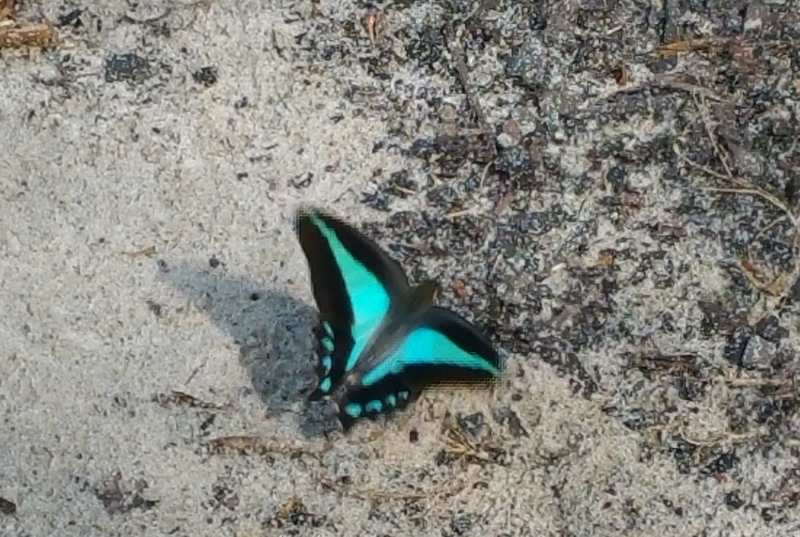 Blue Triangle Graphium sarpedon butterfly Puddling in neighbour’s sandpit. Butterflies, like all animals, need water. At breeding time, male Blue Triangle butterflies and other swallowtail butterflies will be looking for mineral laden water. 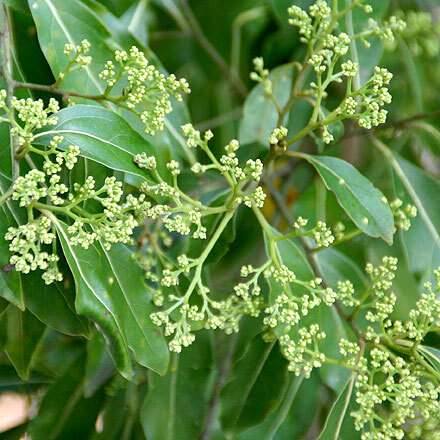 Blue Triangle butterfly caterpillars feed on a range of native tree species including Murrogun Laurel Cryptocarya microneura. Murrogun Laurel is also caterpillar food for Bronze Flat Netrocoryne repanda repanda and Common Red-eye or Eastern Dusk-flat Chaetocneme beata butterflies, as well as, fruit eating birds like native pidgeons. This entry was posted in Pollinator Link and tagged Blue Triangle butterfly Graphium sarpedon, Bronze Flat Netrocoryne repanda repanda, Common Red-eye or Eastern Dusk-flat Chaetocneme beata, Murrogun Laurel Cryptocarya microneura, Puddling Place. Bookmark the permalink.